Everyday we fill our bodies with toxins and food products that become stored in our organs and tissues, wreak havoc on our health and cause a variety of unpleasant symptoms. To combat this, nutrition and health experts from all fields have come up with a variety of different “body cleanses”. These cleanses can range from exercise programs to diets but they all have the same goal: to release the toxins and waste product in your body to help you feel better. How Do I Know I Need A Colon Cleanse? Most of these cleanses often focus on fads and trends rather than on actual science-backed evidence. While many people are looking for the secret food to “detoxify” and “cleanse” our bodies, it’s been right under our noses this whole time. And that secret food is fiber. Fiber helps us enormously by preventing waste build up from occurring in our bodies. It does this by assisting our food waste in moving along the intestinal tract so it can be deposited out of our rectums properly. If this waste does not exit the intestines properly it can lead to many health problems including inflammation and infection of the gut. Following a diet that is lacking in fiber can lead to a build up of food waste and gas, which can block the intestinal tract and cause bloating. Getting a sufficient amount of fiber will ensure that you no longer experience these blockages and that your digestive tract runs smoothly. Fiber can be found in a variety of healthy foods such as beans, whole grains and nuts. Although these are all great sources of fiber and you should feel free to eat them, they are not the best source of fiber. That label is reserved for none other than flax. 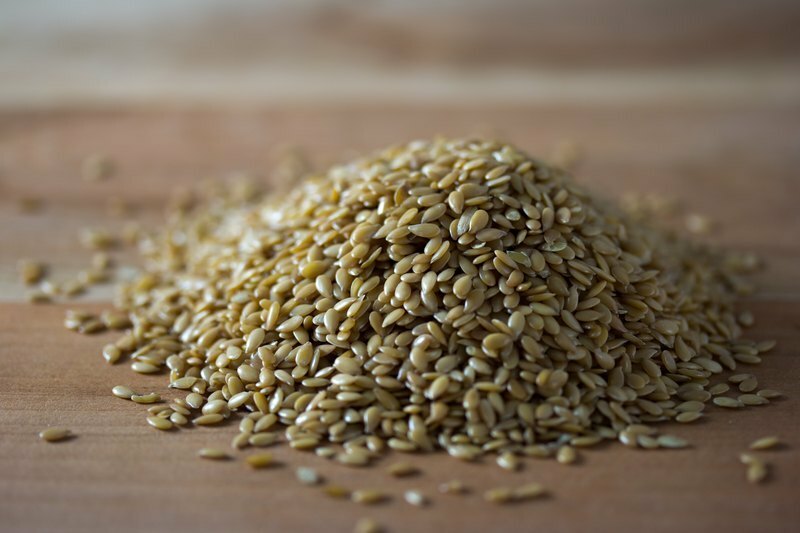 Flaxseed are tiny seeds belonging to the flax plant. They are also one of the best sources of fiber available. This is not only because they contain an incredibly high amount of fiber per portion, but it is also because they contain both types of fiber, soluble and insoluble. Each of these types of fiber play unique roles in the way that they aid in digestion. Soluble fiber aids in digestion by absorbing water and turning into a gel-like substance. This slows down the process of digestion, allowing your body to get the full benefits of the nutrients that you are eating and resulting in the creation of a smaller amount of stool. Soluble fiber has also been shown to be able to lower the risk of developing heart disease. Insoluble fiber aids in digestion by adding bulk to the stool, making it heavier and denser. This allows it to travel easier through the intestines and lowers the chances of it getting stuck and causing a blockage. 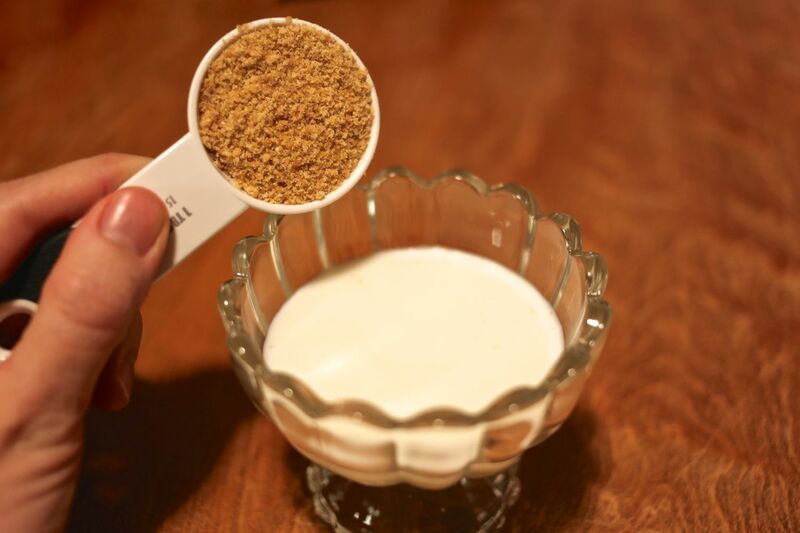 You can either mix 1 tablespoon of ground flax with 1/4 to 1/3 cup of warm water and drink in the morning (before breakfast) and at night (before bed), or you can mix 1 tablespoon of ground flax into a quarter cup of kefir and eat it for breakfast and dinner. 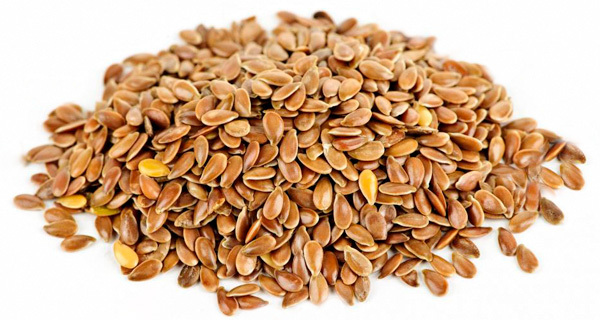 Using ground flax is more efficient than whole flax seeds as they tend to leave the body without being digested. Doing this for three weeks should provide you with enough fiber to improve your digestive system and put an end to or at least reduce any bloating you may have been experiencing.